AS DRIVING TEST applicants around the country await dates for their test, RSA data recently revealed that the national average waiting time for a driving test in test centres stands at 11.9 weeks. At the start of February the average waiting time was at its highest over the past five months, standing at 14.5 weeks. Although the average waiting time nationally has gradually been going down, a spokesperson for the Road Safety Authority (RSA) said this is “still not where we want it to be”. The RSA aims to have a national average waiting time of 10 weeks in all test centres. There are just 10 centres of the total 48 that are on or below the 10 week waiting mark. The authority is looking into ways try to improve the situation at present, such as the hiring of more testers while awaiting amendments to the Road Traffic Act. The driving test centre with the longest average waiting time at 16.3 weeks is Newcastle West in Limerick. The Limerick city centre meets the RSA’s aim time of waiting times being 10 weeks on average. The current average waiting time for a category B (car/light van) driving test per test centre is based on the waiting times of applicants with an appointment during the last four weeks. Spokesperson for the RSA said those who fail their test by a number of small points “won’t be on the bottom of the list” when they re-apply to do their test again. Each week 300-400 people do not show up for their driving test. In 2017 a total of 19,000 people did not show for their scheduled test date. Those who book a test and come to a centre completely unprepared cause “further congestion in the waiting list”, the spokesperson said. Speaking to TheJournal.ie a worried learner from Dublin who applied for a test in February said “I’m beside myself waiting for the test date. I only have a few months left on my learner permit so the whole thing is a mess”. She added that the process of doing a theory test, getting a learner permit, taking the 12 required lessons, doing pre-tests and finally applying for the test is a “money racket”. Another learner from Wicklow has just received a test date for August having first applied in February. She said that she was annoyed about this as the date she had been offered clashed with her holiday plans. She added that she knew from speaking to others and from waiting lists online that there would be a wait and that tests were difficult to get but she “didn’t expect it to be this long”. This year the Road Safety Authority (RSA) intended to offer at least 67 fixed-term contracts to qualified driving testers to help deal with an expected surge in demand for driving tests. The RSA has since been recruiting a selection of new driving testers and 100 people have been chosen to go through garda vetting procedures. The authority expects these new measures to be “up and running in a reasonable small time” following approval. Legislation to introduce fines of up to €2,000 or six months imprisonment for motorists who allow unaccompanied learner drivers to drive their cars brought with it fears of how this could impact waiting times for tests. The Trade Union for driving testers Fórsa claimed that without action this risked a short-term doubling of demand for driving tests and increased average waiting times of as much as 55 weeks. Fórsa told TheJournal.ie that the number of driver testers had fallen by almost 20% since 2007 and average waiting times have risen as a result. Fórsa reached agreement with the RSA in April around the issue of new driver testers. Why do drivers fail their test? 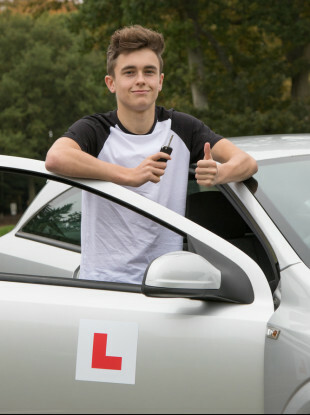 The Spokesperson for the RSA said that ”every case is different” with driving test failures but taking lessons and getting more experience is always a good approach for trying again. The most common reasons why people fail driving tests according to the RSA are issues with observation at junctions, roundabouts, problems with anticipation of other drivers’ actions, speed, incorrect road positioning as well as poor use of mirrors and signals. Inappropriate use of vehicle controls such as gears or brakes or lack of compliance with traffic controls such as signs or traffic lights can also be a factor in those that come back with a fail. The RSA advise that it can usually facilitate an urgent test if someone can be available at short notice, with cancellation slots sometimes becoming available. Availability for this case should be included in any driving test application. Email “Driving test waiting times drop - but some learners still waiting months”. Feedback on “Driving test waiting times drop - but some learners still waiting months”.